PowerPoint isn’t often thought of as a project management tool, and for good reason. It’s not the most flexible solution for managing projects. But it can be extremely helpful in displaying project timelines to clients, management, or other stakeholders, as well as creating client presentations. 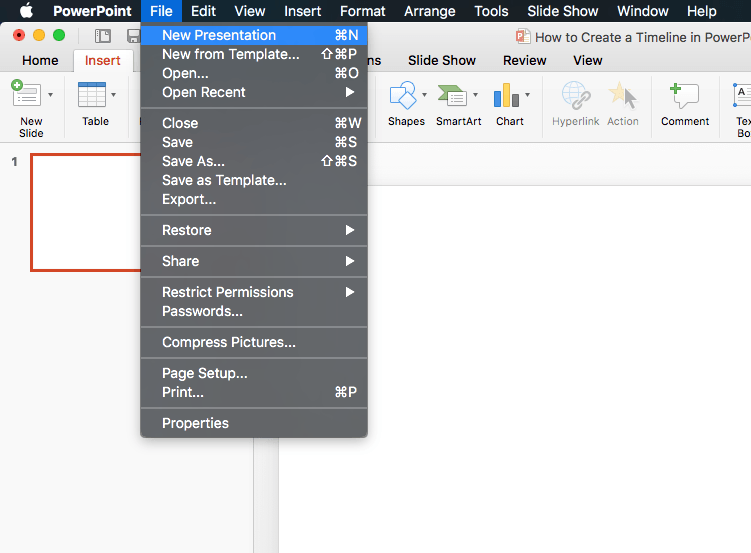 Create or open an existing PowerPoint file. 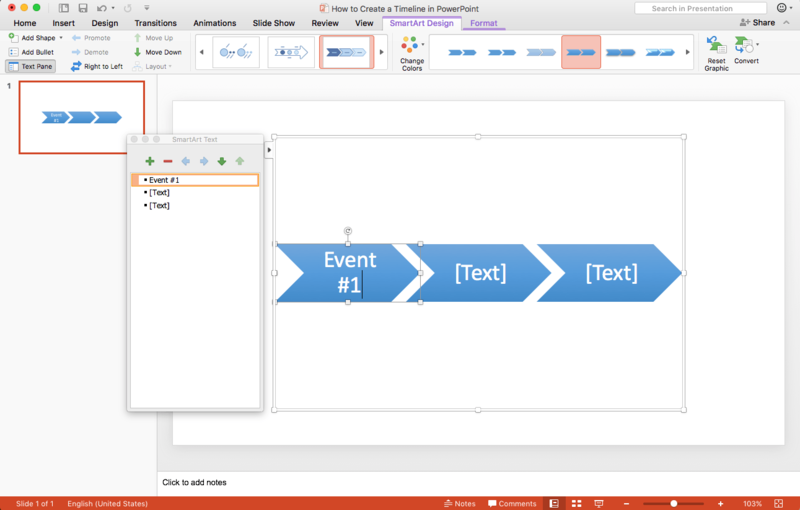 If you already have a presentation you want to insert a timeline into, open your existing presentation file, and select the slide where your timeline should go. Starting from scratch? 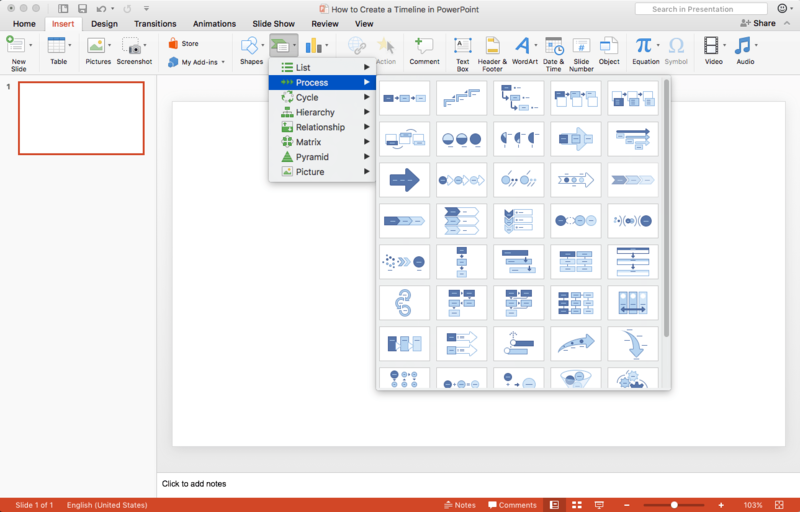 Create your presentation now by opening PowerPoint and clicking on File > New Presentation. Now go to the Insert tab, and add a new blank slide. With the new blank slide selected, click Smart Art, and choose a timeline style from the Process menu. Select any design you like—it can always be changed easily later. The timeline comes preloaded with a few basic events. You can edit these events to match those in your project. Simply click on [Text] in the first placeholder event, and rename it. Repeat the process for the remaining two default entries. Once you’ve edited the final default entry, just hit Enter or click + to create a new event. Continue this step until all your main project events have been added.